So did you notice that American made some updates to their website? 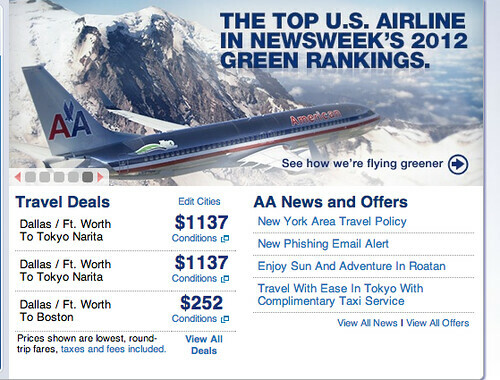 American rolled out a few small improvements to their website late last week. Here are the highlights. Here’s a look at the new seat maps. 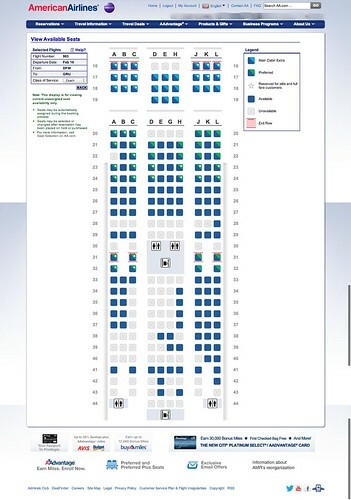 This is from the new Boeing 777-300ER with a three class configuration and Main Cabin Extra seating. 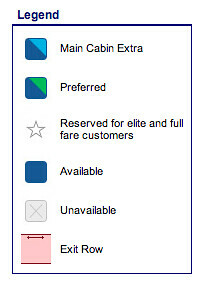 Another new improvement is that fare deals are now displayed as round-trip prices. 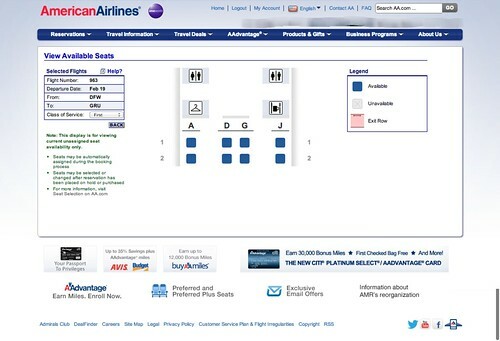 Not a big deal, but it’s always seemed somewhat less than candid that while prices were listed as one way fares, most deals required a round-trip purchase. I have always thought that the asterisk and the “round-trip purchased required” was disingenuous. One small technology advance. One giant leap forward with transparency in pricing! 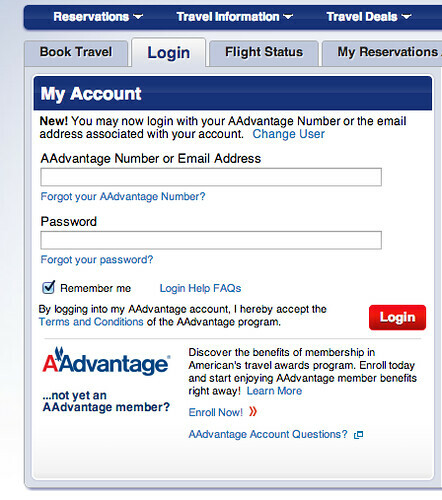 You can now access your account using your AAdvantage account number or your email address. This may not be an issue any longer, but Friday morning I noticed that my reservations disappeared. They were no longer listed under the “My Reservations” tab. I was able to bring them back by accessing “My Reservations” under the top navigation menu. And then using the record locator, I was able to retrieve them. 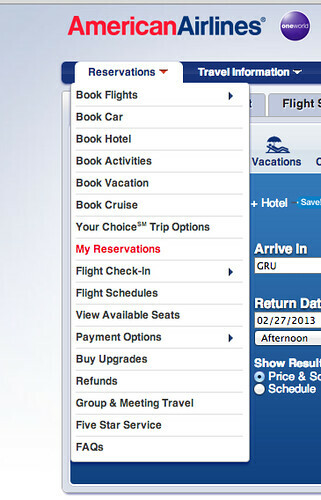 Now my reservations are displayed when I access my account. Did I miss anything? Did you notice any other changes? Looks like some good changes. Have they changed the app as well? @ FEV – I didn’t notice any changes with the app. 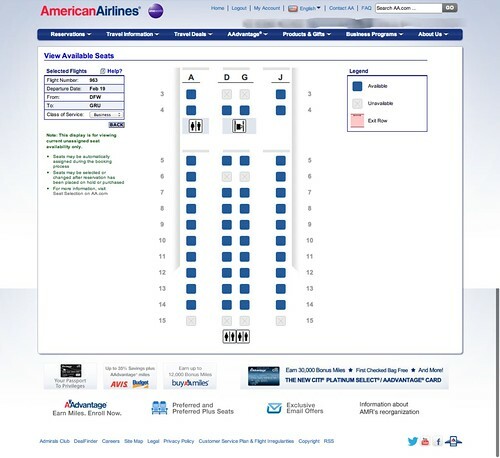 Even the seat map looked the same to me. Thanks for reading! @ Eric – Thanks for reading and for the complement! It keeps forgetting my reservations. I can find them with the record locator, but when I sign on again it is gone. @ Mariah – I noticed that too this morning. My reservations were “sticking” over the weekend, but now they’re not. Maybe @Jason is right and it’s an upgrade “in process”. @ spkg – Mine are back again today. Let’s hope it’s fixed. Thanks for the comment!